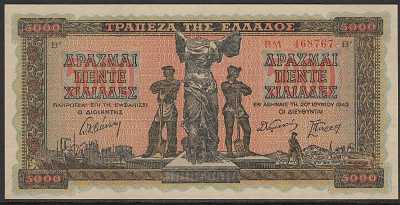 Small prefix & small serial number.Statue of Nike of Samothraki of Samotwace from the Louvre museum. Farmers either side. 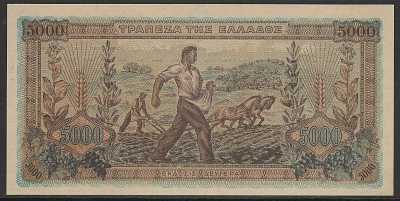 On the back is a sower and a farmer ploughing a field. Fishermen at lower right on Honeycomb watermarked paper. Printed in Athens.